In order to guarantee continued and effective antivirus protection, it is imperative that your virus databases are updated as regularly as possible. 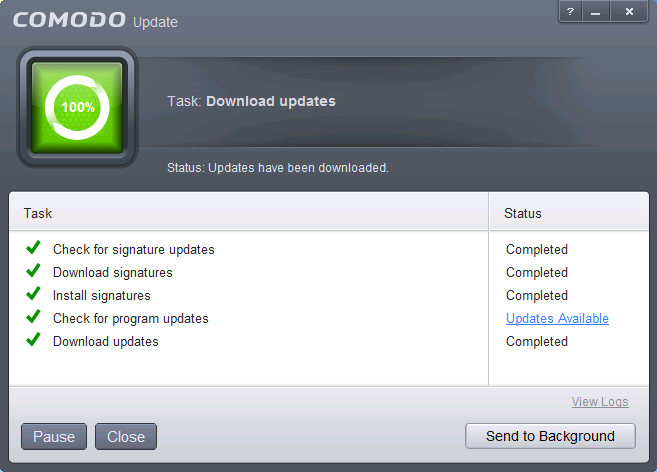 Updates can be downloaded to your system manually or automatically from Comodo's update servers. Switch to 'Tasks' screen and click 'General Tasks' to open the 'General Tasks' interface. The application will check for program and database updates from Comodo Servers. If the updates are available, they will be downloaded. Note:You must be connected to Internet to download the updates. The virus signature database will be updated on completion. If any program updates are available, they will be downloaded and a confirmation dialog will be displayed before installing them. Click 'Yes' to install the updates and keep your CIS installation up-to-date. 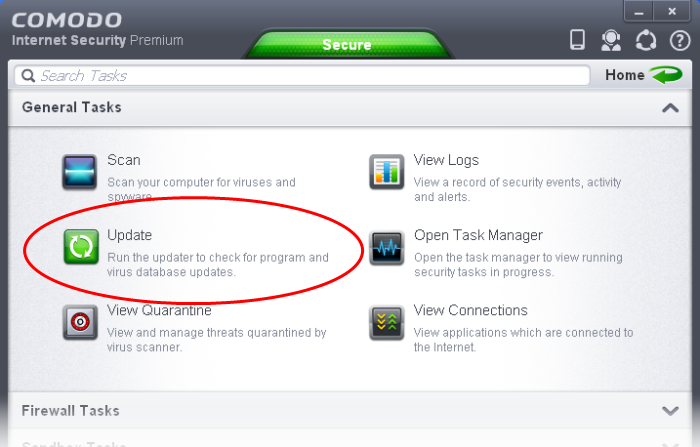 By default, Comodo Antivirus automatically checks for and downloads database and program updates. You can modify these settings in Advanced Tasks > Advanced Settings > Updates. 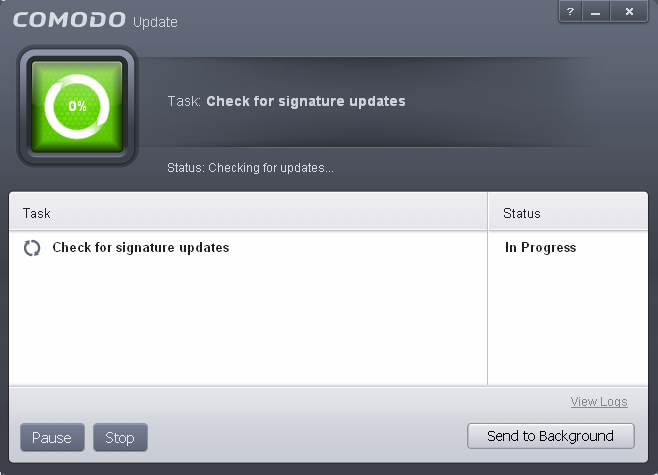 You can also configure Comodo Antivirus to download updates automatically before any on-demand scan. Refer to Scan Profiles for more details.